How Do Muscles Grow? | Is Muscle Damage Necessary For Growth? 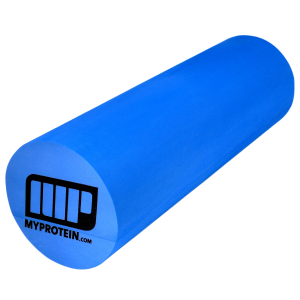 We’ve all experienced muscle soreness a day or two after a training session. But you’ve surely noticed that with regular exercise such days when you can hardly climb the stairs, lift your arms or you struggle to sit down or stand up are becoming rarer. Some of you start worrying because workout doesn’t cause muscle pain anymore. Maybe you’re doing something wrong? If you’ve previously experienced muscle growth, you’ve surely noticed that a muscle grows only if it’s been “damaged” by some sort of physical exercise, followed by it’ recovery and finally by increase in its strength and mass. Although muscle damage definitely leads to an increase in muscle mass and strength, let’s see whether it’s really necessary for long-term muscle growth. In order to do that, we’ll have to take a microscopic journey right to the muscle cells to get an answer. Numerous studies have been conducted on muscle damage and its influence on muscle growth (muscle hypertrophy). We know a lot about the processes that occur due to muscle damage and thus have an effect on muscle building. Muscle damage can happen from mechanical or chemical stress. This is usually a result of lifting heavy weight. During muscle contraction (shortening of a muscle) due to lifting heavy weight, special types of protein merge in muscle fibres. Such mergers during muscle contractions occur thousands of times. In order to lower the weight back down, the muscle needs to extend and return to the starting position, thus these special types of protein in the muscle fibres once again get separated. When lifting heavy weight, the muscle fibres often cannot withstand lowering of the weight to its original position and that causes the aforementioned proteins in the muscle fibres to get literally torn apart. This results in damaging of critical structures in muscle fibres. ✓ Even if you’re not lifting heavy weight, similar muscle damage can occur. If you train with a large number of repetitions, you will still have problems resisting the weight while lowering it to its original position. A similar scenario of forced separation of proteins and damaging of muscle fibres will occur. ✓ This type of damage can be compared to any other injury to the body. The damage is immediately followed by inflammatory processes, and then healing of the muscle fibres, which will subsequently be bigger and stronger than before! For bodybuilders and those who wish to increase their muscle size, muscle damage is certainly a good thing. It is the only way to maximise muscle growth. Unfortunately, the longer you consistently work out, the harder it gets to achieve muscle damage. Bodybuilders and experienced exerciser rarely get sore muscles, unless they exercise very intensively, using techniques for increasing training intensity. This is because the muscles have developed a defence mechanism against muscle damage and often hit training plateaus, unless training is varied to adapt. Luckily, muscle cells have another ace up their sleeve when it comes to muscle growth! 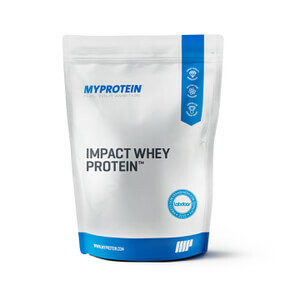 Besides integrating new nuclei into the damaged muscle fibres, which help to regenerate the fibres, the muscles also grow by increasing the amount of protein. ✓ Structural components of a muscle are mainly composed of protein. This means that the muscle growing process also depends on synthesising more protein! Protein synthesis entails creation of protein based on amino acids. Amino acids are linked in a long chain consisting of proteins from which a muscle will be created. One of the main driving forces behind this process is workouts. ✓ Mechanical stress generated as a result of workout also initiates chemical stress inside the muscles which causes contraction energy that triggers the genes for increasing protein synthesis. This is a signal that activates numerous chemical and biochemical reactions! ✓ As long as the muscles are supplied with a sufficient amount of protein to build amino acids. protein synthesis will follow immediately after a training session, resulting in muscle repair, followed by muscle growth. Therefore, the best strategy is to workout not only to increase protein synthesis but to go even beyond (work out with maximum intensity). 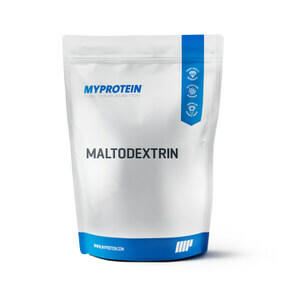 This which will result in an increase in the number of muscle cell nuclei – allowing each muscle cell to synthesise more protein for maximum muscle growth!